A biodegradable product should break down into natural raw materials by microorganisms within a reasonable period of time. “Biodegrade” is more thorough than “break down” or “degrade”—when many plastics today are said to “break down,” they just become smaller pieces of plastic. There is no widely accepted standard for labelling a product “biodegradable,” meaning that there is no clear way to define what it means, and manufacturers apply it inconsistently. Some states are banning the term until a clear standard is agreed upon. Microplastics are plastic particles that measure less than five millimetres in their longest dimension. 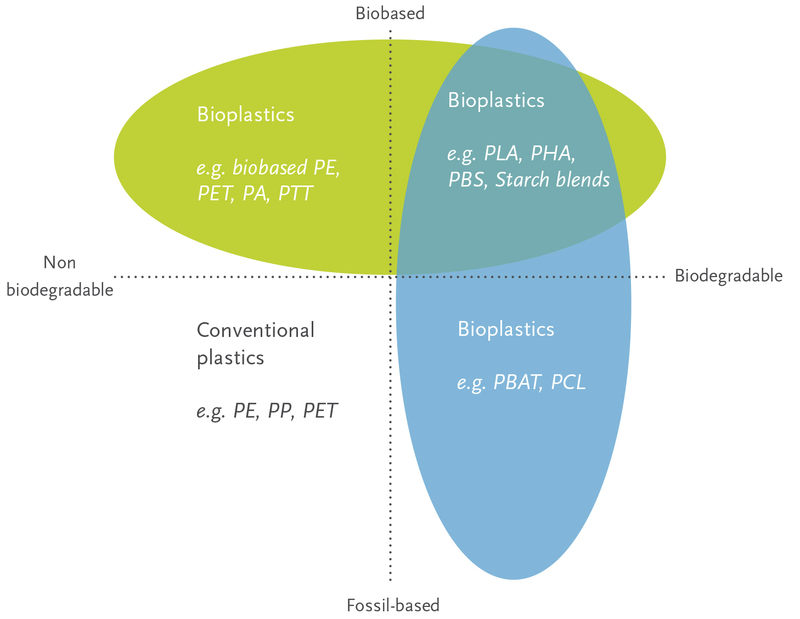 There are two types of microplastics: primary and secondary. PET, or polyethylene terephthalate, is one of the most widely used polymers, or plastics. It is a clear, strong and lightweight plastic belonging to the polyester family. It is used to make common household items such as fibres, fabrics, beverage bottles, and food jars. A system in which all recyclables—newspaper, cardboard, plastic, metal, glass—are placed in a single bin for recycling. The recyclables are sorted at the recycling centre by machines and by hand rather than by homeowners. This approach has pros and cons. Supporters say it increases participation in recycling by the public, but detractors say it leads to more contamination—causing some recyclables to end up in landfills—and is more expensive to process. Plastic products designed to be used only once, such as thin grocery bags and the film packaging that seals everything from food to toys, is known as single-use plastic. Some 40 percent of all non-fibre plastics produced are used for packaging. Environmentalists often encourage people to reduce their use of single-use plastics and to instead opt for more durable multi-use items, such as metal water bottles or cotton totes. LEAD IMAGE: The Philippines is the third largest contributor to ocean plastics in the world. Here, garbage is sorted.